Domestic felines no longer stalk their ancestral jungles, or prowl the savannahs of Africa, but wild blood stills flow through their veins. Some shapers learn how to make their bodies remember the old ways, too. When you learn this power, you can call upon your primal nature to suffuse your body and mind with atavistic fury. To use this stunt, you must have an open wound. This can be a consequence, but could also be a created advantage like Scratched Ear. Roll Shaping to create an advantage against Great (+4) opposition. Regardless of success or failure, you adopt a terrifying Atavistic Form, growing to the size of a tiger and gaining Weapon:2 fangs and claws. 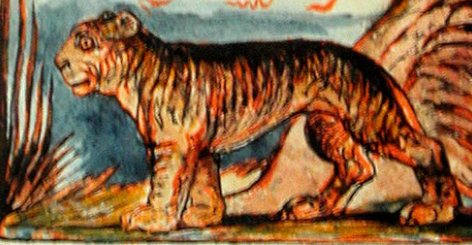 Each feline has a unique variant of the atavistic form, some resembling tigers or lions while others look like sabretooth cats or jaguars. Failure: One of your opponents gets the free invoke on your Atavistic Form. The primal power you’re channelling overtakes your mind and turns you into a frenzied killing machine that’s unable to speak or engage in any higher functions. You can roll Will against Great (+4) opposition to speak a few words and/or hold off on attacking your current target for a turn, or to switch targets. If you run out of hostile targets you must start attacking allies. Whenever you take out a target you can roll Will against Great (+4) opposition to end the power and return to your normal form. Success at a Cost: One of your opponents gets the free invoke on your Atavistic Form but you remain in control of your faculties unless someone compels the aspect to make you act in a bestial, uncontrolled way. You get +2 opposition against any action that involves higher reasoning or learned skills. You can take an action to end the power and return to your normal form with a Will roll against Fair (+2) opposition. Success: You gain a free invoke on your Atavistic Form. You remain in control of your faculties unless you’re compelled to temporarily act in a bestial, uncontrolled way. You get +1 opposition against any action that involves higher reasoning or learned skills. You can take an action to end the power and return to your normal form with a Will roll against Average (+1) opposition. Success with Style: You gain two free invokes on your Atavistic Form. You maintain complete control of your faculties unless you’re compelled to briefly act in a bestial, uncontrolled way. You can end the power and return to your normal form at will without taking an action.